Single axle galvanised launching trailer. The Sea-Swift 500 is a ideal fast fisher or family day boat. It has a deep V hull with gull wing hull design to deliver good performance and stability. The hull is double skinned and has built in buoyancy. The detachable cabin top also offers shelter from the elements. This example comes complete with Suzuki's excellent 50hp 4 stroke engine and launching trailer. 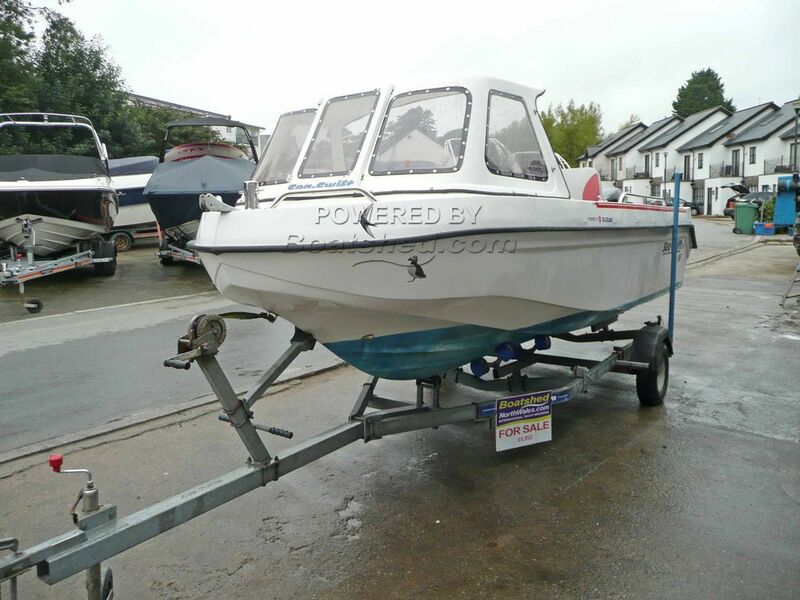 This Sea-Swift 500 has been personally photographed and viewed by Chris Tindall of Boatshed North Wales. Click here for contact details.